Score this super Cute Disney book pack and figures that go with the story for super cheap! 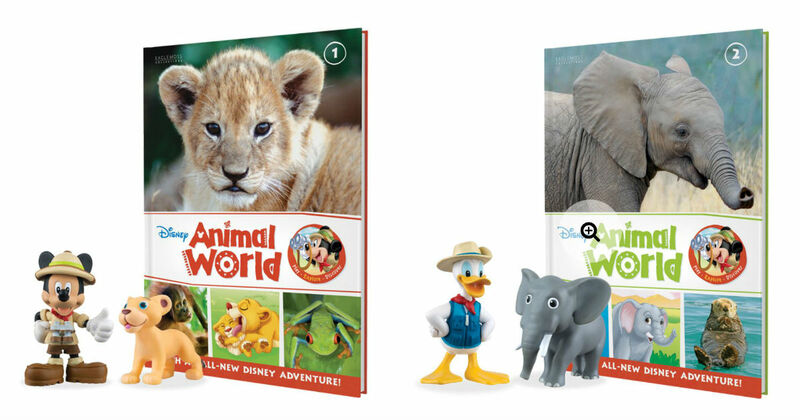 Right now you can get Disney Animal World's first two books and figure packs Buy One get One Free for $7.95 (Reg. $26)! Preschool children learn best through imaginative play and this all-new DISNEY collection of high-quality books and build-up playset has this idea at its heart. Each Disney Animal World book comes with figures that go along with the story. This would make a perfect gift! If you are pleased with the Welcome Package do nothing and in about three weeks you will receive four new issues of Disney Animal World plus four Disney Safari Play Sets for only $7.95 per issue plus $1.95 shipping and handling each. Don't want to continue with the subscription? Simply let them know within 10 days you'd like to cancel as you are under no obligation to continue.I suggest waiting until you get your package in the mail.